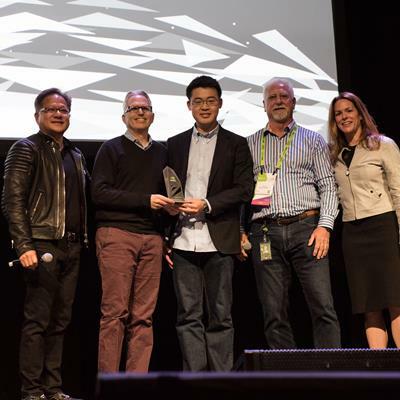 Imaging artificial intelligence (AI) start-up Subtle Medical will showcase SubtlePET, its AI software that allows hospitals and imaging centers to deliver a faster patient scanning experience while enhancing exam throughput. SubtlePET is currently under U.S. Food and Drug Administration (FDA) 510(k) review and is in pilot use at multiple university hospitals and imaging centers in the U.S. and abroad. 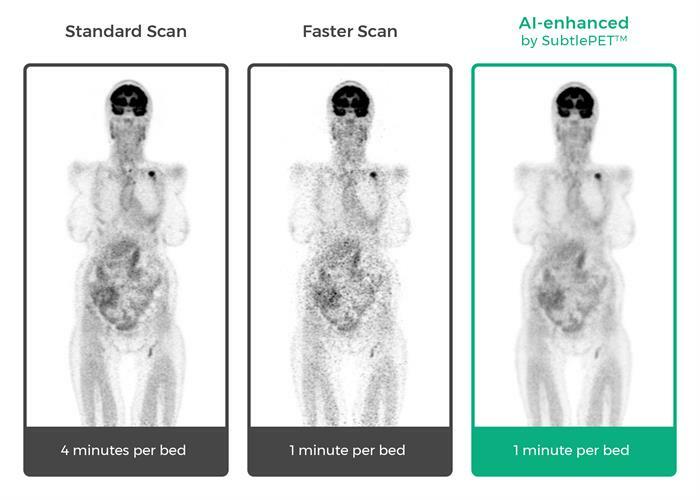 The software can accelerate PET scan times fourfold or reduce PET radiation dose by up to 75%, according to the firm. Different scan times and visualizations of PET. Image courtesy of Subtle Medical. SubtleMRI is a second software application pending FDA submission; it allows imaging centers to accelerate MRI scans.